“Brand” is one of those words that is widely used but unevenly understood. What does “brand” mean? 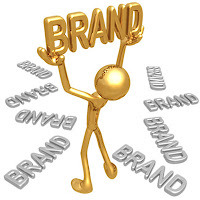 A good definition of “brand” is the name given to a product or service from a specific source. Used in this sense, “brand” is similar to the current meaning of the word “trademark.” Brands are among the most important assets that a business can own, and strong brands can ensure business continuity in times of difficulty. A clock shows me the time. A coffee maker makes coffee. A person has certain strengths and accomplishments, such as analytical skills, knowledge of Chinese, expertise in project management or SAP. A Swatch arouses different emotions than a Rolex, and a Nespresso coffee maker is emotionally not seen the same way as one from another company. A person can also stand for very specific emotions, e.g. for security, modesty, status, affection, fun, adventure, pride and/or friendship. What is the difference between the brand and the no-name product? Is it the emotional promise that it makes or the functional performance that it provides? can transport, the greater its attraction and therefore its power. Among the most attractive emotions currently used in advertising are LOVE, JOY and PLEASURE. However, individuality, SECURITY, FREEDOM, REPUTATION and FRIENDSHIP also exert a great attraction and help to distinguish brands from one another.